John is a terrific inside player who knows how to use his body in the paint. He is a real force that possesses very good low post moves and a solid shot from mid range. John is able to create for himself in the paint and has a good eye for what is happening around him. He does not force shots, makes good decisions with the ball and has a tremendous eye for open teammates and good passing skills. 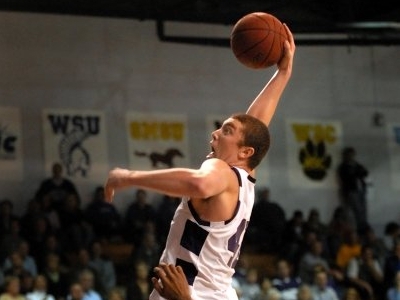 Last season he proved why he was voted player of the year twice in NCAA II playing for Winona State. He also became national champion twice in his college career. So John is a player that knows how to win and has the winning mentality and attitude. His defensive ability combined with his offensive threat is what makes him the special and complete player he is. He demonstrated this also last year in the portugese league being voted Defensive Player of the Year and MVP of the league. Posting 18,3 ppg, 9,9 rpg and 1,9 bpg. 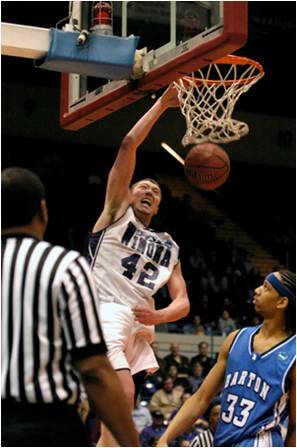 The US Power Forward John Smith, from Winona State and former NCAA 2 Player of the Year, had a terrific first season in the top-league in Portugal averaging 18.3 points, 9.9 rebounds and 1.9 blocks per game on 56.2 % shooting from the field. His stong performance was capped of by winning the MVP award for the regular season. On top of that he got rewarded Defensive Player of the Year for his defensive effort.